The pageant held on Saturday, December 1, 2018, in Shenzhen, China also saw Ms Walcott, walking away with three individual titles which included, Best Singer Award, Contestants’ Choice Award and she also placed 3rd for the People’s Choice Award. 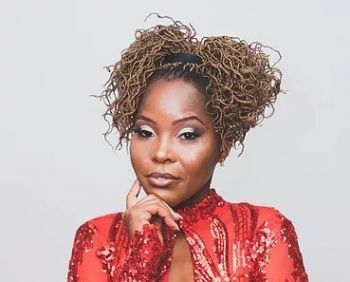 Reflecting on her experience representing the VI at the 47th edition of the Miss World pageant, on November 22, 1997, Ms Walcott said her past experience did not prepare her for the intensity of the Mrs Globe 2018/19 pageant, however, despite that, she defied the odds and ranked an incredible 8th out of all the contestants to put the VI on the map. “Miss Word did not prepare me for the level of aggressiveness required and the intensity over in Shenzhen at the Mrs Globe Pageant, and we had 10 days to get prepared practices, rehearsals…,” the beauty queen later told told ‘Honestly Speaking’ host, Claude O. Skelton-Cline, during the December 5, 2018 broadcast of his radio show on ZBVI 780am. “In the Mrs Globe Pageant, which had 86 contestants competing from around the world, I ranked 8th amongst those contestants,” the delighted Walcott shared. “This little nation went toe to toe with all 86 countries, and made $10 donations in order, not just to support me, but to show the strength of the territory,” despite the hurricanes of 2017 she said. Questioned about the importance of ranking 8th globally, the VI beauty Queen said it will do wonders for the Territory, in terms of improving the local image and creating much wider brand awareness for the VI’s global financial services. Beauty with a purpose. Zoe you are beautiful inside as well as outside. I have forgiven you for not asking for a recount of the votes in the election. I knew you had won. You are the better person today by letting it go. The world is a cycle continue being you.